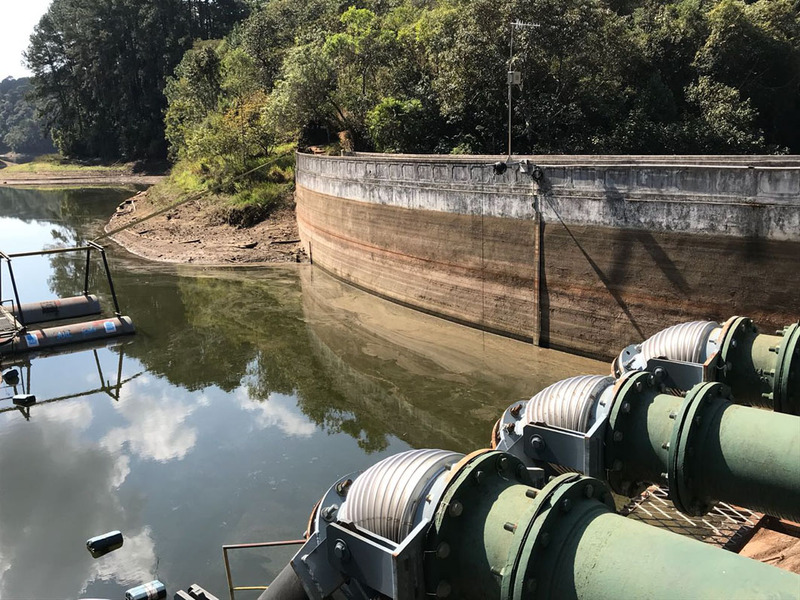 EScGD is assisting “Serviço Autônomo de Água e Esgoto de Guarulhos” (SAAS), the service provider in Guarulhos (Brazil), in the identification of alternatives to eliminate and mitigate the impacts of water scarcity in the supply of Guarulhos. Furthermore, the EScGD is also undertaking a financial and institutional analysis of the metropolitan water system. Funded by: Serviço Autônomo de Água e Esgoto de Guarulhos. Participating entities: Members of EScGD, together with MZ Estudos e Projetos and Santore Zwiter Engenheiros Associados. EScGD supports the Spanish Association of Water Supply and Sanitation (AEAS) in a project aimed at analysing the investment needs for water and sanitation assets renewal in the urban water cycle. The project is expected to provide a full inventory of the different assets included in the Spanish urban water cycle, to estimate its current value and to determine the annual investment needs of the sector. Funded by: Asociación Española de Abastecimientos de Agua y Saneamiento (AEAS). Participating entities: Members of the EScGD (Agustí Pérez Foguet and Fatine Ezbakhe), Aquae Chair in Water Economics (Cátedra AQUAE) and Spanish Association of Water Supply and Sanitation (AEAS). EScGD is part of the Water and Poverty Network (WAPONET, “Red Temática sobre Pobreza Hídrica”), where the main goal is to bring together knowledge, experiences and best practices acquired at national level in the area of water poverty. We engage with other academic partners to consolidate ongoing initiatives and identify future potential areas where to research, develop, pilot, evaluate and deploy solutions regarding pro-poor delivery of water services. Funded by: Ministry of Science, Innovation and Universities (MINECO) National Programme for Fostering Excellence in Scientific and Technical Research – Acciones de dinamización “Redes de Excelencia”. Participating entities: The networks comprises 8 academic partners from Spain: Water Land and Sustainability Group (GRATS) of the Universitat Autònoma de Barcelona, Engineering Sciences and Global Development research group (EScGD) at the Universitat Politècnica de Catalunya, Urban Transformation and Global Change Laboratory (TURBA) of the Universitat Oberta de Catalunya, Studies of Well-Being, Environment and Economic Policy (SWEEP) of the Universidad de Granada, Interuniversity Institute of Geography (IIG) at the Universidad de Alicante, Interuniversity Institute of Local Development (IIDL) of the Universitat Jaume I , Research Group on Territorial Structures and Systems (GIEST) of the Universidad de Sevilla, and Oviedo Efficiency Group at the Univesidad de Oviedo. The project coordinator is GRATS. EScGD has developed a strategic partnership with Applied Research for Development (AR4D), a UPC spinoff with the purpose of technological transfer to international institutions, development organizations and local stakeholders. EScGD, in collaboration with SIWI, Lund University and the World Bank, have guest edited a special issue at Water (ISSN 2073-4441), focused on monitoring and modelling of water services and resources, sanitation services and hygiene, and associated institutional arrangements, within the framework of the 2030 Agenda for Sustainable Development and particularly related to the Sustainable Development Goal (SDG) 6. A total of 13 papers have been published in this special issue. Members of the EScGD, in collaboration with the State Water Commission of Oaxaca (CEA), participate in a project aimed at improving the monitoring and evaluation of WASH services in the Mexican rural context. The project is expected to increase the capacities of local stakeholders (CEA staff, municipalities, and community committees) in managing and using decision support system to plan the WASH sector in Oaxaca. Funded by: UPC’s Centre of Development Cooperation (CCD).